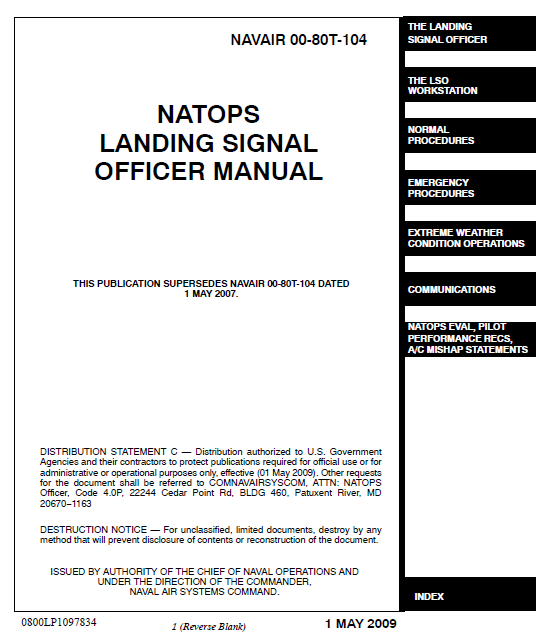 This manual is a single source of LSO information for LSOs, unit commanders, and air crewmembers that contains descriptions of visual landing aids, command relationships, a compendium of LSO-related policies and responsibilities, pilot and LSO training requirements and qualifications, descriptions of visual landing aids, and LSO procedures for recovering fixed-wing non-V/STOL aircraft aboard CV and CVN-class ships. In addition to an introduction, Part I of this manual establishes LSO command relationships with type commanders, staffs, CV(N) commanding officers, air wing commanders, squadron commanding officers, detachment Officers-in-Charge, and Air Department personnel. It also describes LSO levels of designation, and establishes a comprehensive training program for fixed-wing, non-V/STOL LSOs. 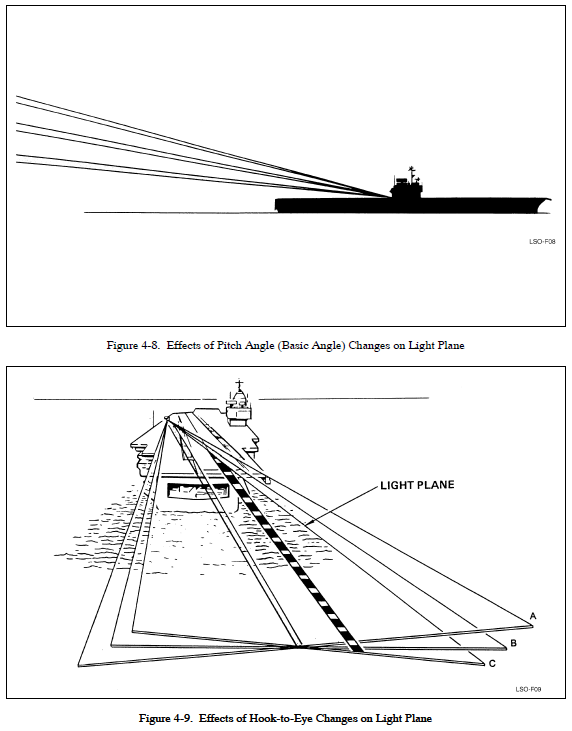 Part II provides detailed descriptions of the LSO workstation equipment ashore for FCLP and aboard ship for CV landings. Parts III and IV contain shorebased and shipboard requirements and procedures for both normal and emergency situations. Parts V and VI provide policies and LSO procedures for extreme weather operations and establish standard terminology for radio communications. Part VII addresses NATOPS evaluations of LSOs, pilot performance records, and LSO aircraft mishap statements. 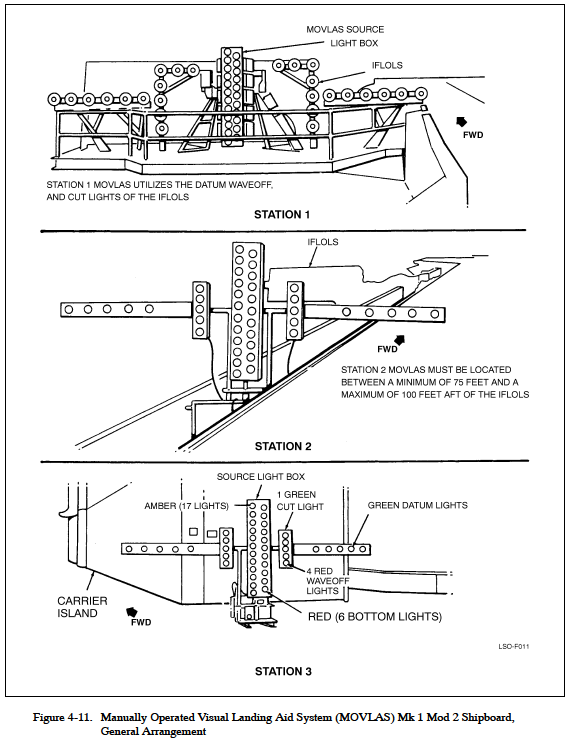 Procedures for V/STOL LSOs are not within the scope of this manual and can be found in NAVAIR 00-80T-111 (V/STOL Shipboard and Landing Signal Officer NATOPS Manual).